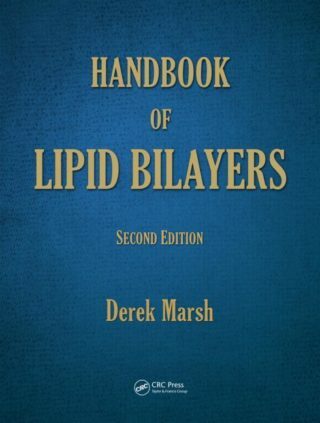 Now in its second edition, the Handbook of Lipid Bilayers is a groundbreaking work that remains the field’s definitive text and only comprehensive source for primary physicochemical data relating to phospholipid bilayers. Along with basic thermodynamic data, coverage includes both dynamic and structural properties of phospholipid bilayers. It is an indispensable reference for users of bilayer model membranes and liposome delivery systems and for those interested in the biophysics of membrane structure. Each chapter in the second edition contains considerable amounts of explanation and elaboration, including, in many cases, extensive analysis of structural connections between the data.